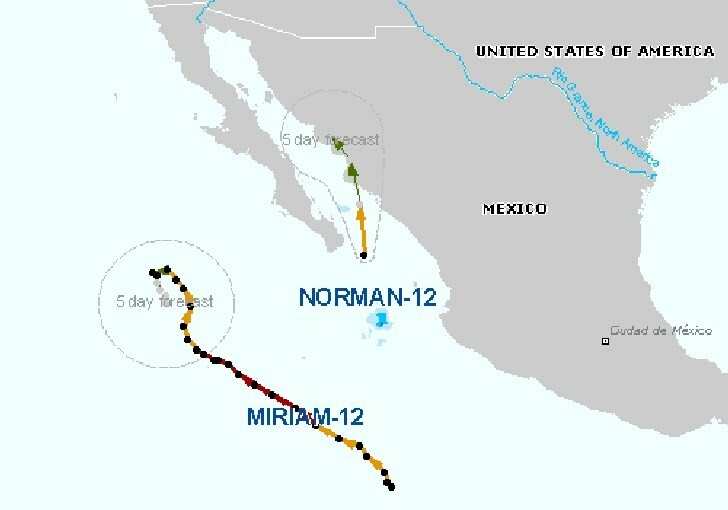 Tropical Storm Norman forms off the West Coast of Mexico. 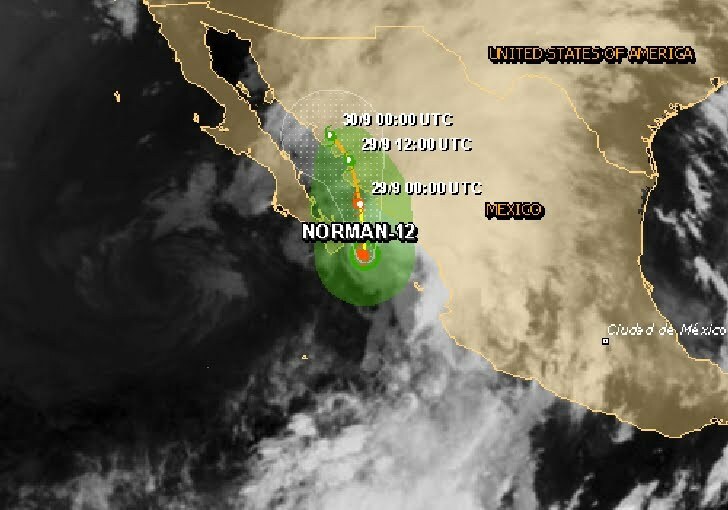 At 08:00hr am PDT the center of Tropical Storm Norman was located near latitude 22.8 north/longitude 108.6 west, about 230 km W of Mazatlan Mexico and about 135 km E of Cabo San Lucas Mexico. Norman is moving toward the north near 26 km/h and a northward motion is expected to continue for the next day or so. On the forecast track the center of Norman is expected to make landfall in the warning area this evening or tonight. The government of Mexico has issued a Tropical Storm Warning for the West Coast of Mainland Mexico from La Cruz northward to Huatabampo. Norman is expected to produce total rainfall accumulations of 4 to 8 inches with isolated maximum amounts of 12 inches across the Mexican states of Sinaloa and far western Durango. These rainfall amounts may produce life-threatening flash floods and mudslides.